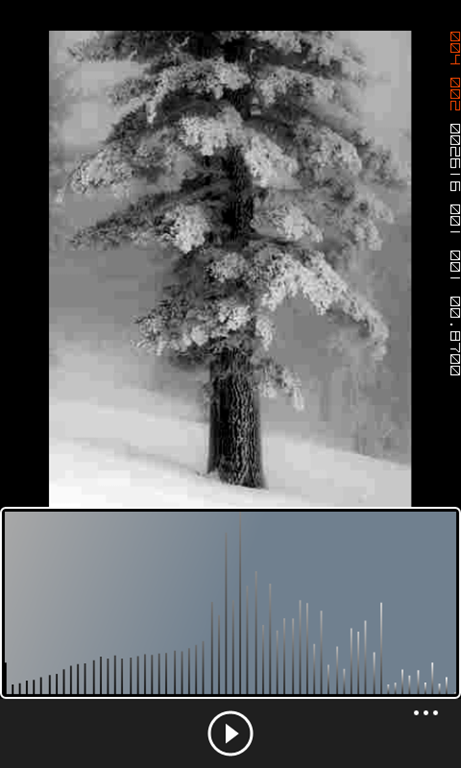 Now that we have a histogram, it’s time to have some fun. Michael Reichmann at Luminous Landscape uses the following picture for a great post on Understanding Histograms for digital photographers. He graciously allowed to me to use it here and it’s perfect for what we want to accomplish. This is a fantastic snow scene, but it would be nice if we could increase the contrast to help us pick out features. In other words, can we ‘stretch’ the intensities to use the whole spectrum? Of course we can! Which intensities do we want to become the new black and white? You could probably eyeball it and come up with a pretty good approximation, but we’d rather automate this process whenever possible. Let’s pick a threshold, say, 5% of the highest occurring intensity and use it to determine our lower (black) and upper (white) bounds. If the highest occurring intensity has 100 pixels, then any intensities with fewer than 5 occurrences will be below our threshold. Allow the code to clear up any confusion. //so we’ll start on the right side. And just so we can see what we’re doing, we’ll put in a method to draw the boundaries. That looks like it accurately portrays the boundaries to me. The next two steps should be combined, but it’s a little easier to understand when it’s broken into two separate components. The first step is to make the left bound the new zero. This means let’s shift the intensities to the dark side of the spectrum. That was easy and already I feel I can pick out more detail, but we aren’t using any more of the spectrum than we were before. The final piece is to use the gamut of intensities. Note that we are not adding information here. We are just going to spread out the information we already have. Let’s get to it. //factor becomes 255 / 61 ~ 4.18. See that’s not so bad. Now, that is a picture! 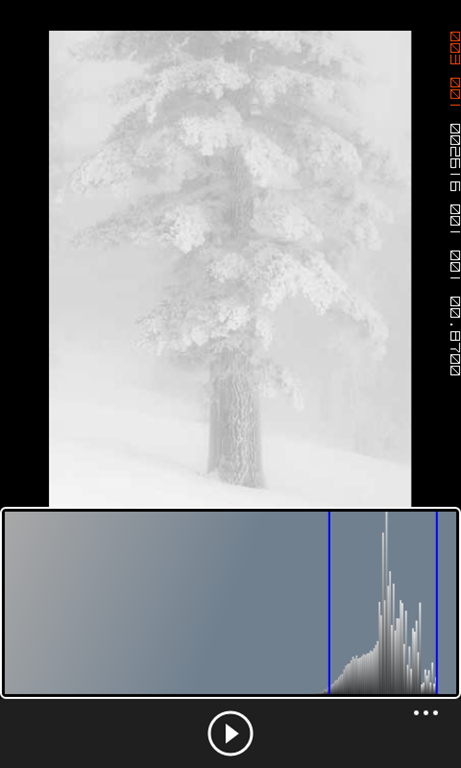 Notice how the histogram bars have spaces between them? This is because we aren’t actually adding information. We’re just making it easier to see. I really like this picture. 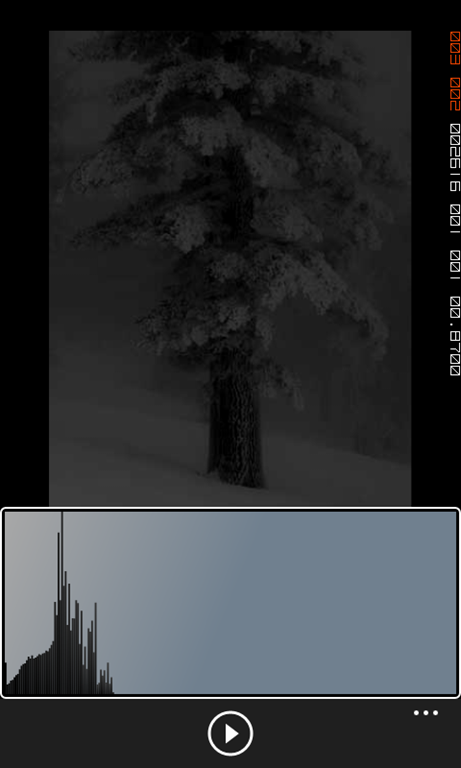 It works out great for a project like this and we are finally starting to do some useful image processing. The beauty of this lesson is that it took no human interaction to perform and the results are pretty spectacular. If you have any questions find me on Twitter (@azzlsoft).